This post is intended as a “sticky note” for friends, acquaintances, and general internet inhabitants who ask how to get into home brewing. It is based on my own personal experience and opinion. If there is anything that home brewers are, it’s opinionated. So, you may hear drastically different advice on some points (e.g., extract versus all-grain), but I suspect most would at least partly agree on what I have to say here. My starting assumption here is that the reader is at least passingly familiar with basic terms such as “extract brewing” or “all-grain brewing” or “sparging.” If not, a quick internet search will turn up better definitions than I could provide. You will not get Bud Light style lager through 99% of all home brewing efforts. If that is your goal, you are far better off just picking up a case of the cheap stuff at the store. The light American lagers–despite their bad reputation among beer snobs–are technically quite difficult to achieve by most homebrew setups. That said, you are not restricted to just stouts and porters. 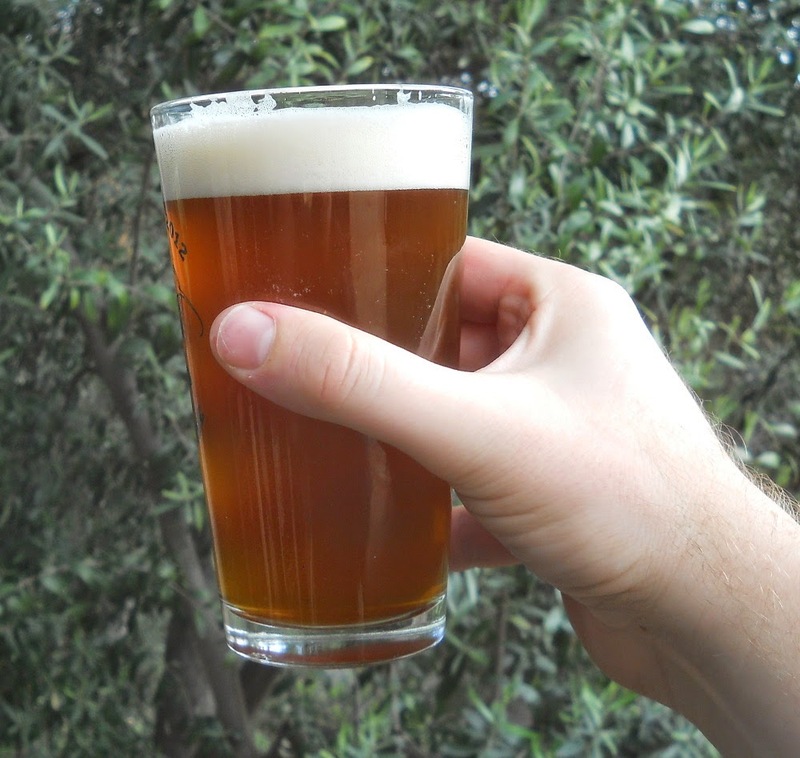 You can fairly easily make a really tasty blonde ale, for instance–light, refreshing, and quite achievable! If your intent is to save money on beer, find another hobby. In terms of raw ingredients for a batch, yes, you might save money in the long run. But once you factor in time and equipment, this is not by any means a money-saving proposition. Quite frankly, there are better ways to save money–like cutting back on your beer drinking. You know what your own tastes are. Trust them. If the beer tastes good to you, it’s good beer. That said, do be open to constructive critique from those who have practiced taste buds. As a corollary to that, though, remember that we all pick up on different things in beer. Beware relentlessly negative tasting critiques from beer snobs. There are always those who will find fault no matter what; learn to identify them and (politely) ignore them. The goal is not (or isn’t always) high alcohol or maximum hoppage. Those things can be nice in some beers, but get boring after awhile. There is an unfortunate “macho” philosophy prevalent among some home brewers (and even some craft brewers) that the goal is to create the highest alcohol beer that will provide maximum buzz, or the most bitter concoction, or the funkiest Brett brew. This isn’t healthy, nor is it fun, in the long run. Good beer comes in all shapes and sizes; I’ve had great beer with almost no hops character, and lots of hops character. Likewise, I’ve had great beer with 3.2% abv, or 9% abv. Variety is the spice of life. There is a tremendous amount of BS masquerading as brewing advice on various internet forums and websites. There is also a tremendous amount of good knowledge out there. As a scientist, I am a little frustrated at times by the uncritical eye cast towards brewing techniques. I get the sense that there is a vast world of scientific knowledge out there, but it doesn’t often percolate down to home brewers. So, use a bit of common sense when incorporating new techniques into your repertoire. As I said in the intro–home brewers are an opinionated bunch, for better or worse. Start small. You have no idea if you will give up on brewing after two batches, or if you’ll still be brewing strong ten years down the road. Thus, it doesn’t make a lot of sense to drop $1,000 on equipment right from the start. You should be able to brew your first batch of beer for around or under $100 of equipment and supplies. If possible, brew with a friend before committing. If you have a friend who is a homebrewer, ask if you can “ride along” for one of their brewing sessions. It’s a good way to see how the process works. That said, be aware that your friend may have good habits, bad habits, cheap habits, expensive habits, or unnecessary habits built into his or her work flow. Just because they do all-grain with a massively complex sparge setup doesn’t mean that you have to also. Or, if they use iodine-based sanitizers without proper dilution or rinsing, you may want to do something a little different. Start with extract brewing. It requires minimal equipment investment as well as requires the easiest technique. It’s a good way to get your feet wet (or end up completely immersed in the hobby!). 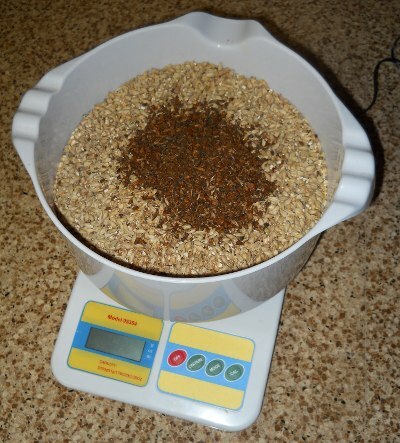 Both extract and all-grain brewing can produce good (or bad) beer. Each technique has its advantages and disadvantages, but with care and experience both can produce excellent beer. If you spend your entire career doing extract, and get excellent results, yay! Don’t let all-grain snobs get you down. Take good notes. You will never regret this. What worked in your process? What didn’t work? What did you change from before? What were the starting and finishing gravities? It is hard to improve (or maintain high quality) if you don’t know what happened. 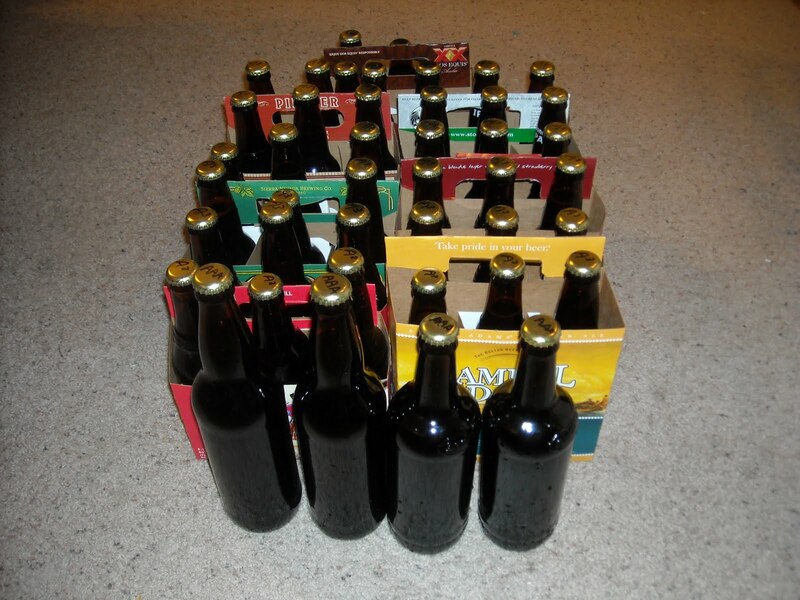 You will not get perfect beer at first–but you will almost certainly get drinkable beer. As you learn and practice your technique, your brews will nearly certainly improve. If the beer tastes funny, wait a week or two or three before tossing it. I’ve made a few batches that improved drastically after a few weeks of maturing. Time doesn’t fix all ills in brewing, but it sure can mitigate most. This entry was posted in advice, brewing, equipment, miscellaneous. Bookmark the permalink.